Cade Brown is a former first class cricketer and now a partner at Callida Consulting, one of Canberra’s largest consulting firms. Cade was previously captain of the ACT Comets and represented the PM’s XI against India where he top scored with 80. He was the captain of local side Weston Creek for over fifteen years where they won eleven premierships. 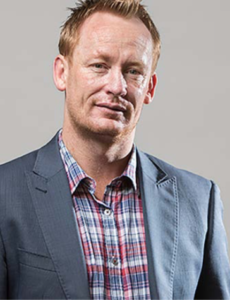 In addition, Cade is the manager of a number of Wallabies players, international cricketers and footballers and is on a number of charity boards in and around Canberra. the INSEAD executive school where he attended the Singapore campus. Cade’s large clients include the Australian Sports Commission, the ACT government, the Department of Agriculture and Water Resources and the ANAO. range of sub committees within those boards and has also performed strategic advisory roles for the ACT Brumbies, the North Melbourne Football Club and the GWS Giants. Cade is married to Sonia and has two kids, Archie who loves all sport and Alessandra who loves her ballet. He is a passionate fisherman and a proud North Melbourne supporter.